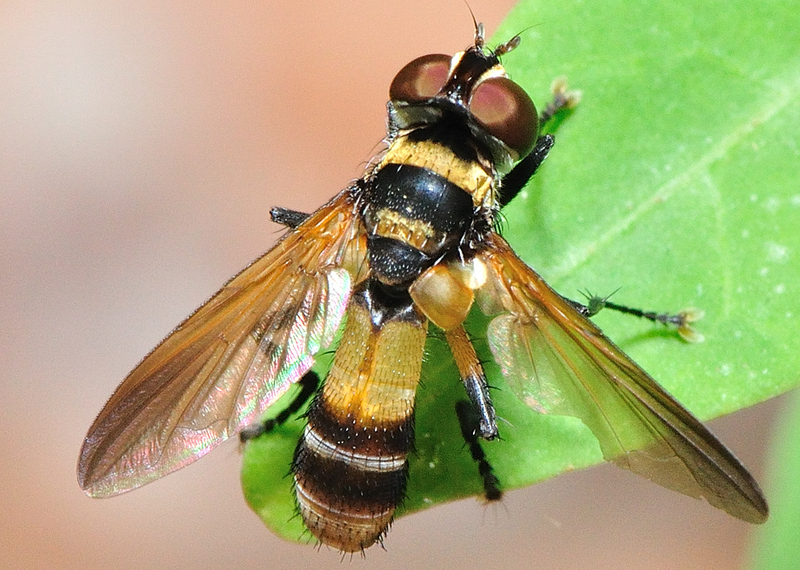 This page contains pictures and information about Tachinid Flies Subfamily Phasiinae that we found in the Brisbane area, Queensland, Australia. This subfamily parasitic in Hemiptera. It is believed that all species in this group are parasitoids of Hemiptera - Heteroptera (true bugs). 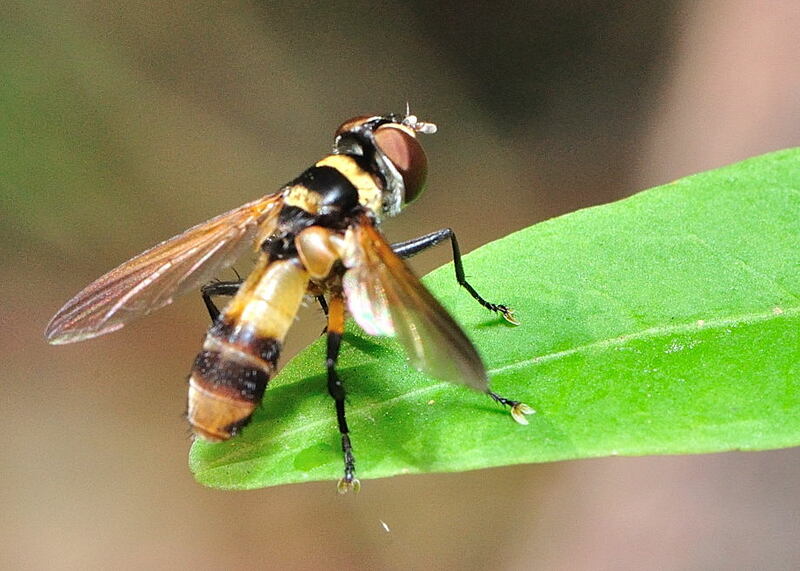 Their abdomen is bare of bristles and is either globular or quite flat and round. Most of them are orange-brown in colours. Their lower calypters are very broad. Some reference group this tribe together in Phasiini. This fly is orange-brown in colour with brown-tinted wings. It has the very broad lower calypter. The abdomen is elongated and has two transverse dark brown bands on orange-yellow. The legs are also orange-yellow basally, black on the remainder. 4. 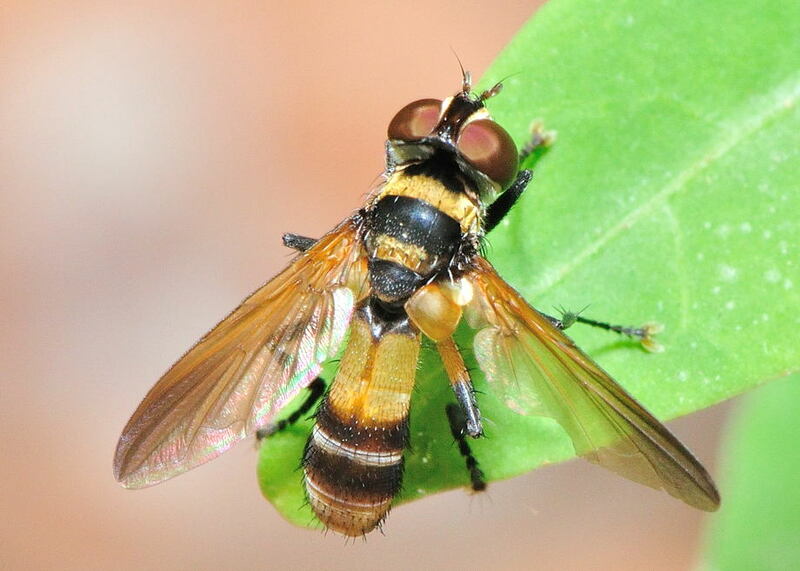 A conspectus of the Tachinidae (Diptera) of Australia, including keys to the supraspecific taxa and taxonomic and host catalogues - R.W. Crosskey, 1973, British Museum (Natural History), Bulletin Entomology Supplement 21. 5. 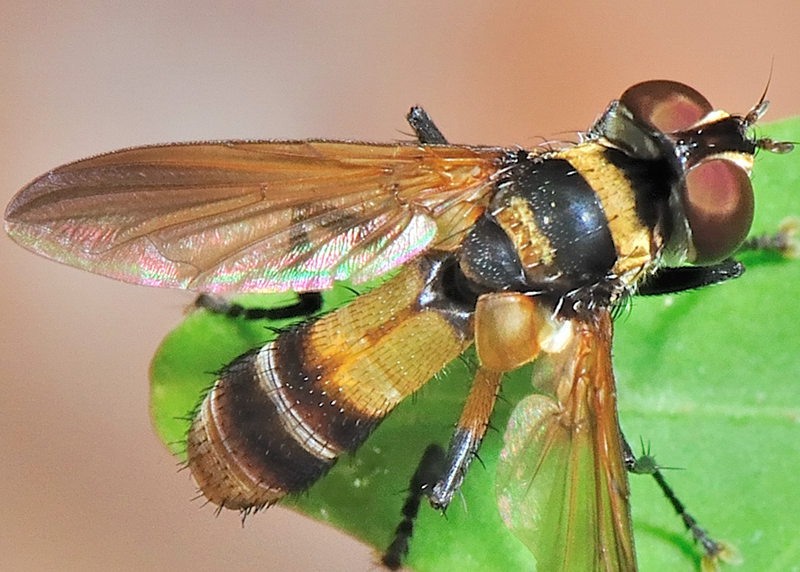 A review of the Australian species of Cylindromyia Meigen and Saralba walker (tachinidae: Diptera) - SJ Paramonov, Australian Journal of Zoology 4(3) 358 - 375, 1956. Last updated: January 28, 2011.